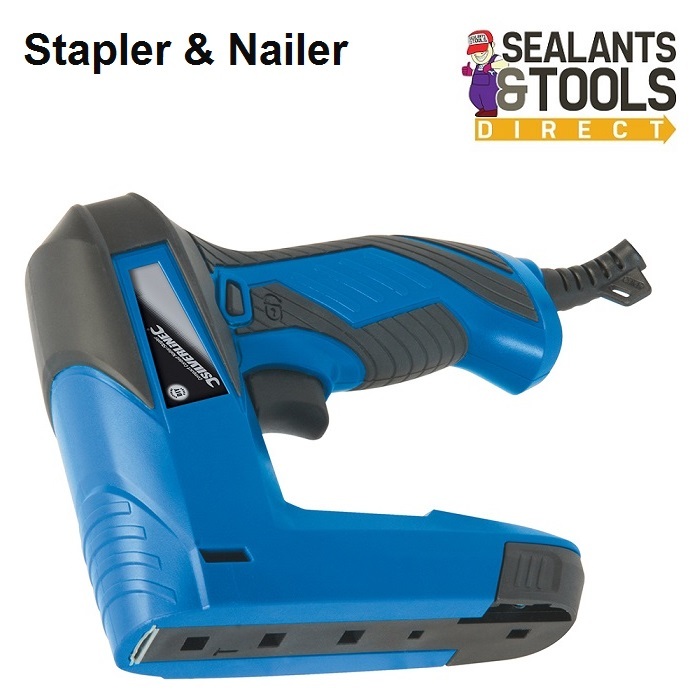 Compact single-handed design allows fastening in confined areas. Insulated rubberised handle for improved grip and reduced vibration. Up to 20 staples or nails per minute. Safety lock feature and all-metal firing mechanism and chassis. 110 staple and 64 nail magazine capacity. Includes 400 x 10mm staples and 100 x 15mm brad nails. See the Full Range of Silverline Tools and Products.